Mr. Tommy Smith’s life has come full circle. From being the band student turned director who made his teachers proud, to now being the band director who is proud of his students. 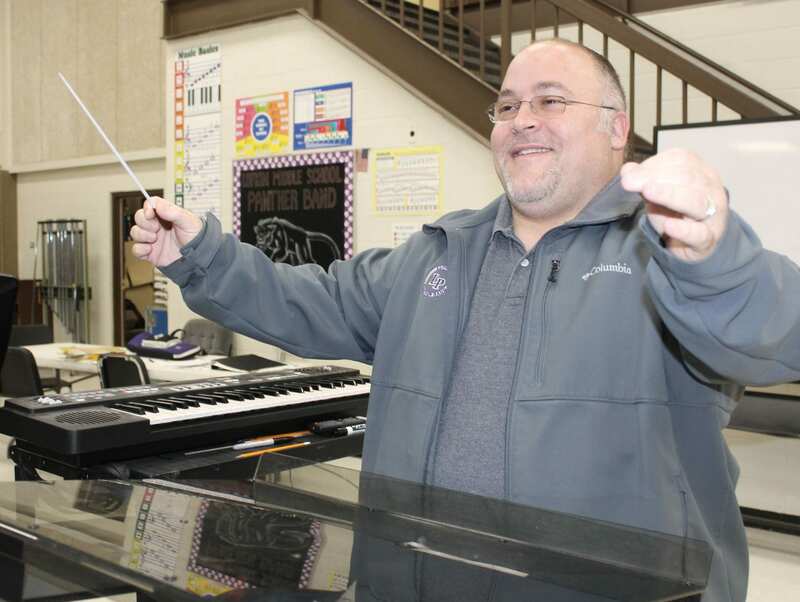 For the past 13 years, Mr. Smith has been the head director of the Lufkin Middle School band program educating students in not just music notes and tempo, but life. 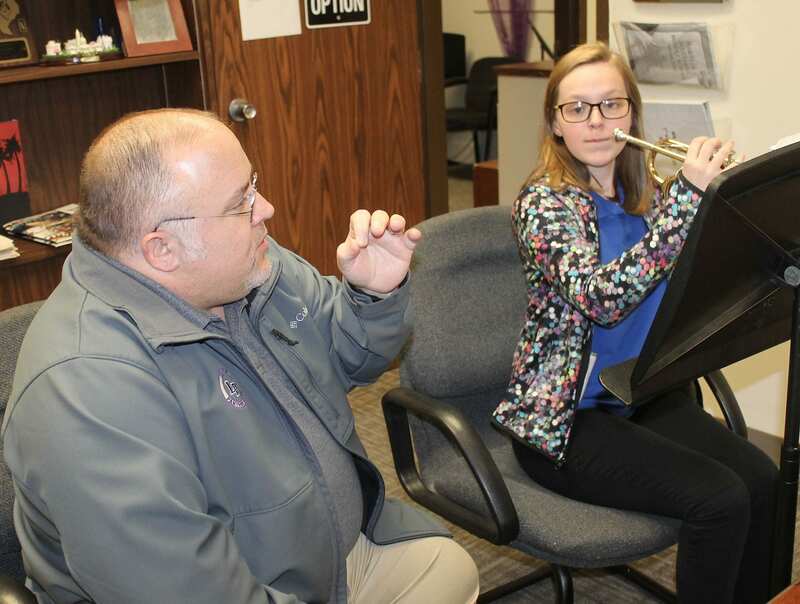 His talent is evident by the strong presence of training students to play the euphonium with two students making the all-state band, one two years ago and the other last week. These lessons in band and in life were passed down to him from his band directors Mr. Rose and Mrs. Poteet. His love for music and band in particular began on Friday nights. The silver bells Mr. Smith is referring to was his first choice of instrument, the beloved tuba. Although when he tried out in sixth grade, his mother told him the mouthpiece was too expensive. “I wanted to play tuba, but my mom said the price for a mouthpiece was equivalent to a light bill. The baritone mouthpiece was $30 cheaper, and I was told I could play low notes like a tuba,” he said. Mr. Smith’s parents play a huge role in his life, one of support, encouragement and motivation to not rest on his laurels. He surprised his parents with entrance into this world by being an unexpected twin. His dad worked at the Williamsburg Brick Company for 35 years in Leesburg. His mom was an LVN who worked for a doctor’s office and then went into home health later in her career. Mr. Smith said her patients were like family, and she would drive her mini-van all over surrounding counties to help them. She sometimes would leave in the middle of the night, but loved her job. 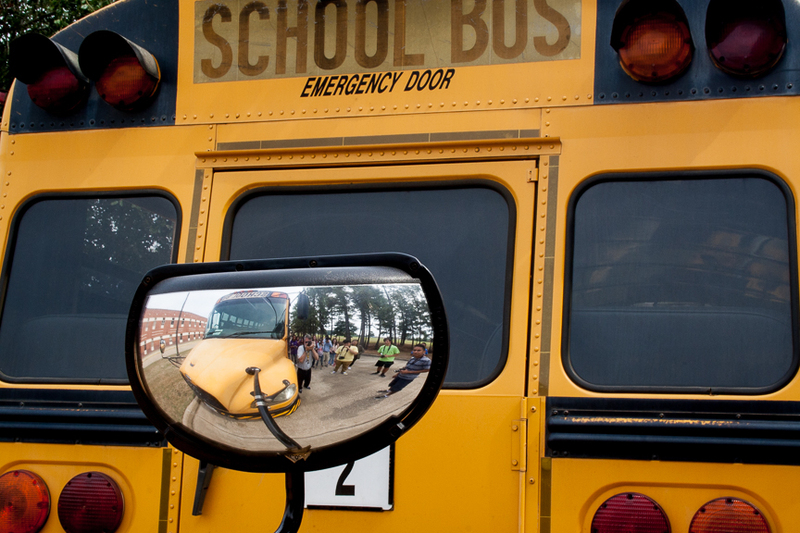 Lessons he learned from his parents still ring true today. His mom in particular would push him to keep doing better. Still to this day, his parents have never missed a concert even if they have to FaceTime it. Another influence in his life is his older brother, older by one minute. Mr. Smith says he’s not just like his brother even though they are twins, but their paths are very similar. Both enjoyed band, Mr. Smith the baritone, his brother, James, the trombone. The boys even both participated on the high school’s power lifting team. Both boys went to Stephen F. Austin State University even rooming together and both became band directors. James is a band director at Center ISD. Although originally Mr. Smith was going to be a social worker, his high school band director convinced him otherwise. 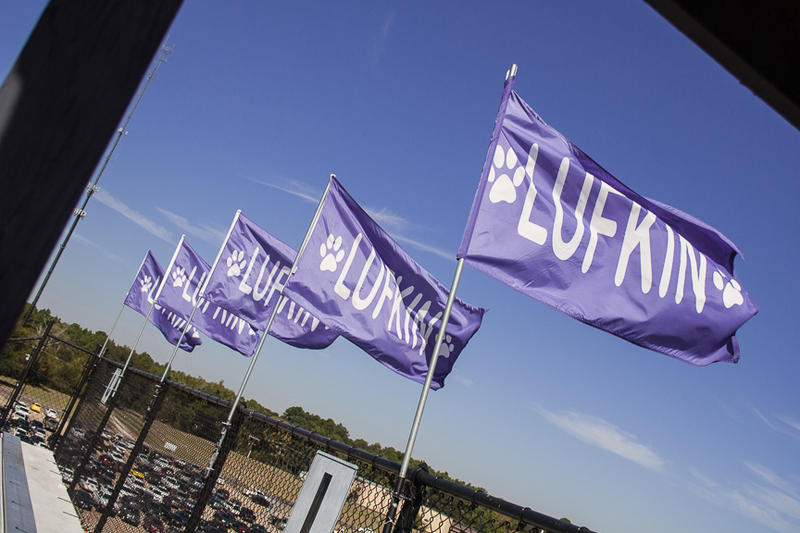 “My band director took me to look at colleges. Riding back with him, we had a serious conversation. At Freshman orientation, I was a social work major. I thought it would be fun and I could help people. After talking with Mr. Rose, I called the school back and told them I don’t think I want to do social work. My head band director talked to me, and I’ve always trusted him. I credit Mr. Rose with any success that I’ve had with everything and anything good. 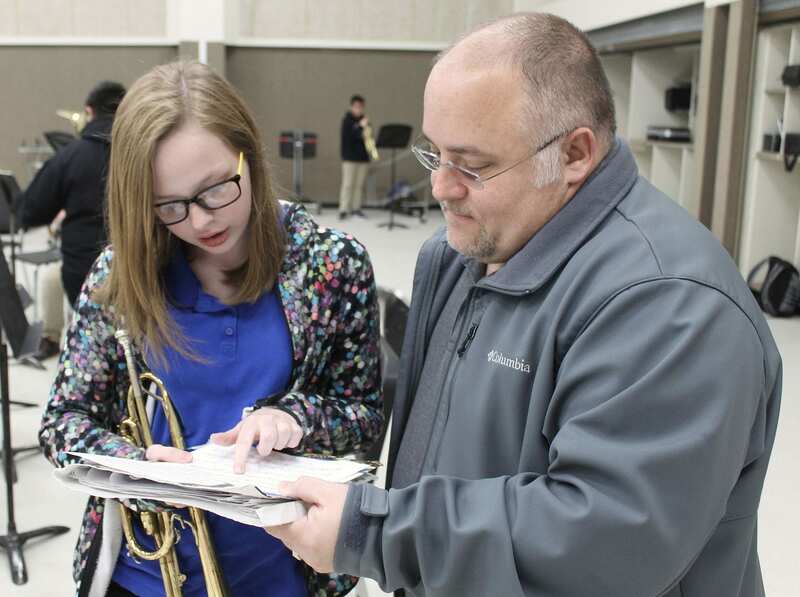 He and Mrs. Poteet tell me to call them Greg and Sherry, but they are still my band directors,” he said. At Stephen F. Austin State University, Mr. Smith met the woman he would marry, April. 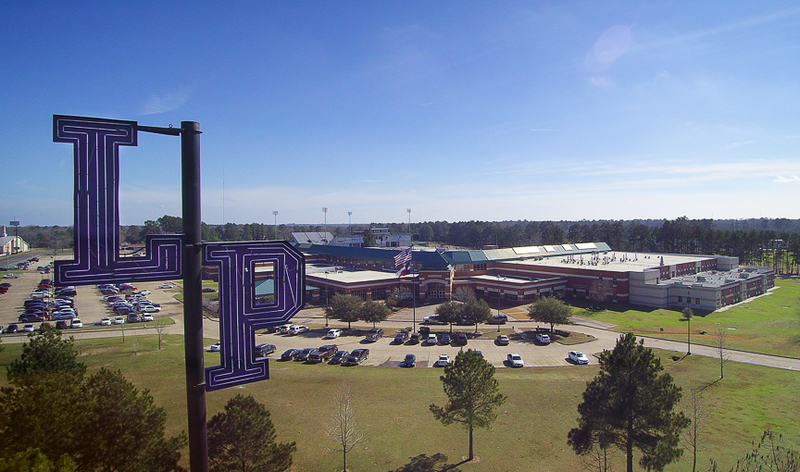 She worked on campus in the SFA Phonejacks, a telephone outreach program, where she would call for donations for the school’s alumni. Ironically, she grew in that position to be the Associate Director of Development, which manages the Phonejacks today. She and Mr. Smith have two children, Dylan 7-years-old and Cheyanne, who plays the clarinet in the 6th grade LMS band. Mr. Smith, we’re glad that you wouldn’t do anything else because our students need you. Your teaching style and knowledge of music sets the tone for our band program. Thanks for your caring heart.